When you just want something a little different. Smart laced leather dog collar, lined with soft napa leather. Handmade for the best English bridle leather and hand laced with kangaroo leather. It is available in a section of colours, it looks great in one colour or you can choose a contrasting colour. 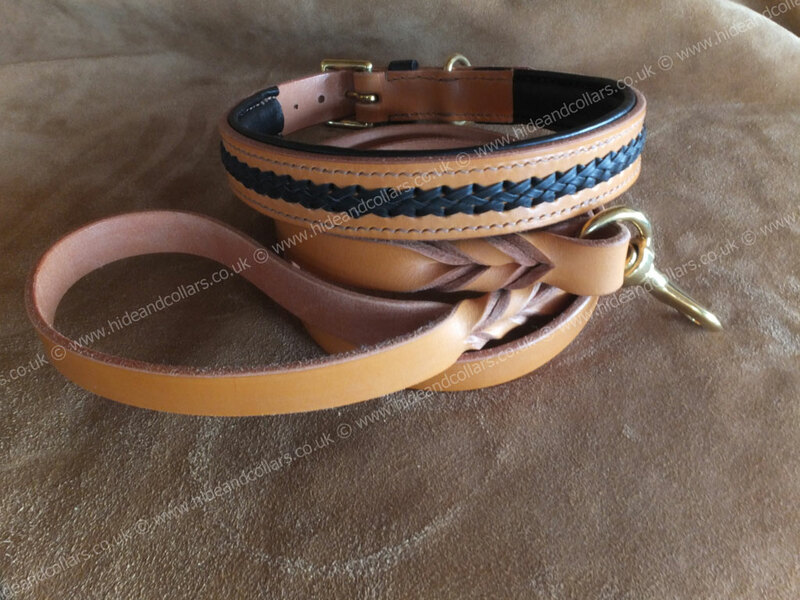 The collar is 25mm in width with solid brass harness fittings. The lead in the picture is 19mm in width and 122cm in length with an attractive twist . Other leads can be found here.